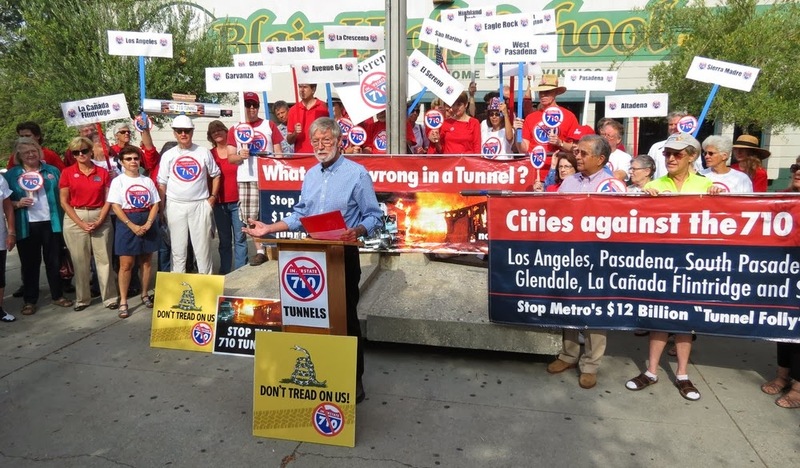 Should this tunnel ever actually happen, it would be environmentally devastating to our portion of the San Gabriel Valley. If built countless diesel trucks and other unwanted traffic out of the ports of Los Angeles and Long Beach will be funneled up the 710 Corridor (one of the most ecologically devastated in the U.S.) and straight out onto the already distressed 210, befouling our air with cancer and asthma causing pollutants while also causing traffic here to grind to a halt. 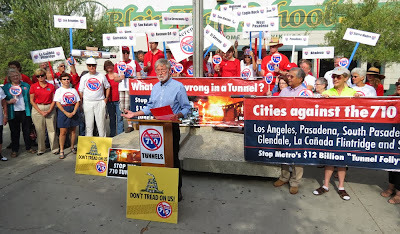 Paradoxically, Congresswoman Judy Chu and Assemblyman Chris "Cheap Houses" Holden both support this tunnel. Which I have to assume means that the prospect of lining the pockets of their corrupt lobbyist patrons with plenteous amounts of overseas vigorish means more to them than the health and welfare of their own constituents. But who in government actually works for the people anymore? Certainly not that unhappy pair. Each of them sold us out in a heartbeat.